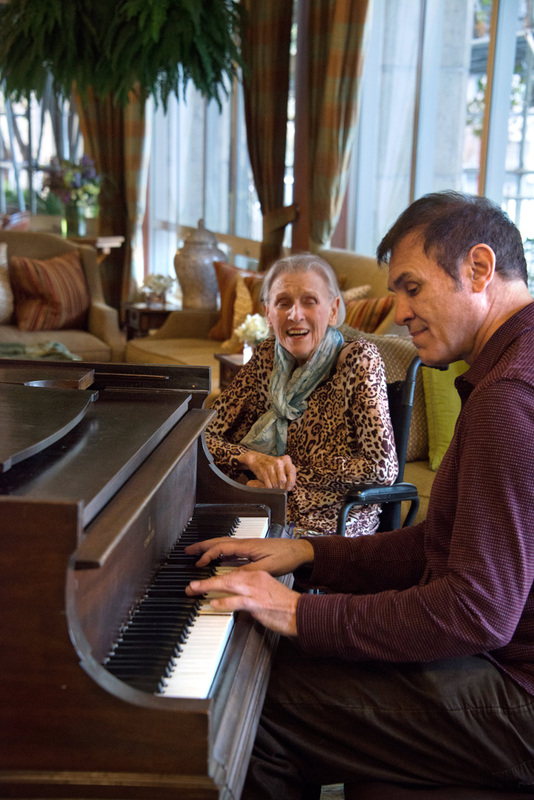 Though not usually with a photographer in tow, composer David Conte often drops by the Carlisle, the retirement community at 1450 Post, to visit his mother, Carlisle resident Nancy Conte. He often plays her favorite classics or show tunes before or after he goes to work at the San Francisco Conservatory of Music, where he is a professor of composition and head of the composition department. Other Carlisle residents are treated to regular impromptu mini-concerts. Performing and composing are nothing new for David Conte. At 7, he and a friend wrote songs and gave concerts in their suburban Cleveland neighborhood. Music education in the public schools was at its zenith, and his father played the trumpet. By 8, he had started piano lessons, and by the time he reached 13, he knew music would be his life. At 19, he moved to Paris for three years, where he became one of the last pupils of world-renowned teacher Nadia Boulanger. Conte, the eldest of his mother’s three children, has composed more than 100 published works, including six operas and works for orchestra, chamber groups and chorus. His work has drawn critical praise, and aspiring composers arrive at the conservatory to study with him. 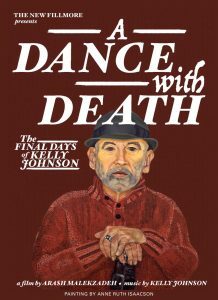 Kelly Johnson composed and performed the music on his new CD. In the sunset years of my life, I sometimes realize that many of my friends don’t see me as I see myself. They see just an old guy on the corner outside Peet’s. But inside my head, I know I’ve had an interesting life — even if the interesting parts all seem to be in the past. Recently I took on a new project that involved writing original music for ballet class, publishing a CD and developing a website. It was life changing. And it turned out to be the glue that holds together all of the disparate parts of my life: as a child performer in vaudeville, later at the S.F. Dance Theater, which started on Fillmore Street; then as executive director of the Berkeley Symphony, followed by my years as a concert pianist and now my newest work as a composer. On the corner of Fillmore and Jackson stands the imposing edifice that is home to Calvary Presbyterian Church, moved there from the western side of Union Square just in time to open with a community Thanksgiving service in 1902. 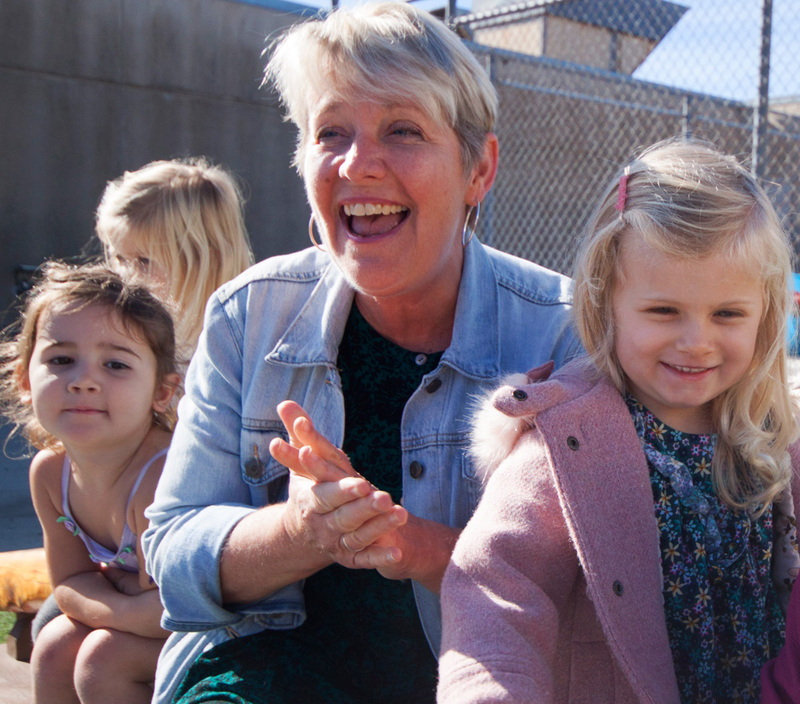 Often overlooked is the warm, bright preschool located on the top floor of the adjacent education building, with its rooftop playground, which has been welcoming and shaping 3- and 4-year-olds since 1956. Deborah Anaya has been director of Calvary Nursery School for 19 years. As she walks through the six mini classrooms that divide the preschool’s open, inviting space, she points with pride to the reading corner, the student artwork that hangs on the walls, the portfolios tracking the progress the children made in learning how to write their names. 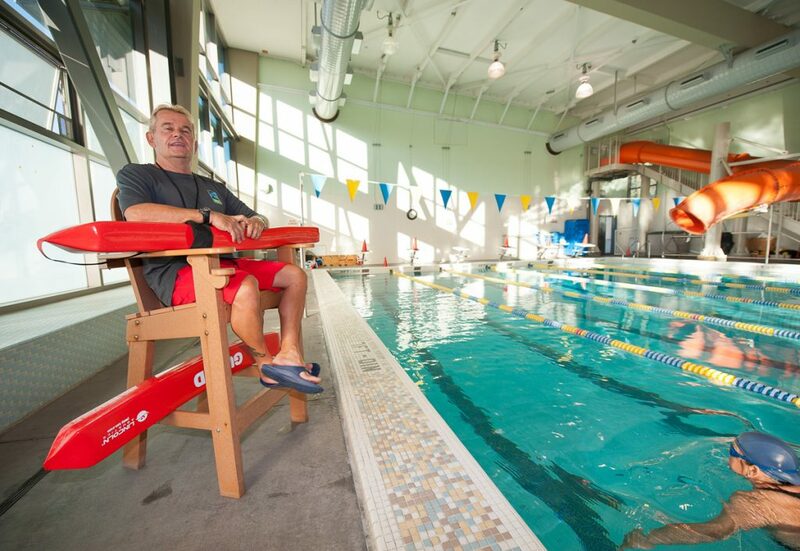 Chuck Louden is a longtime lifeguard at the neighborhood’s Hamilton Recreation Center. If there’s a story that needs telling, you’d want Neil Hart to tell it. That became apparent one bright recent morning when, after a 3,000 yard swim, he turned to one of his favorite topics: San Francisco Tsunami Aquatics, the gay, lesbian, trans and straight-friendly adult swim league that has been a fixture at Fillmore’s Hamilton Recreation Center for three decades. Hamilton’s dedicated aquatics community helped launch the team in 1986 and, in the aughts, helped renovate and reshape the multigenerational facility at 1900 Geary Boulevard the neighborhood’s diverse population enjoys today. 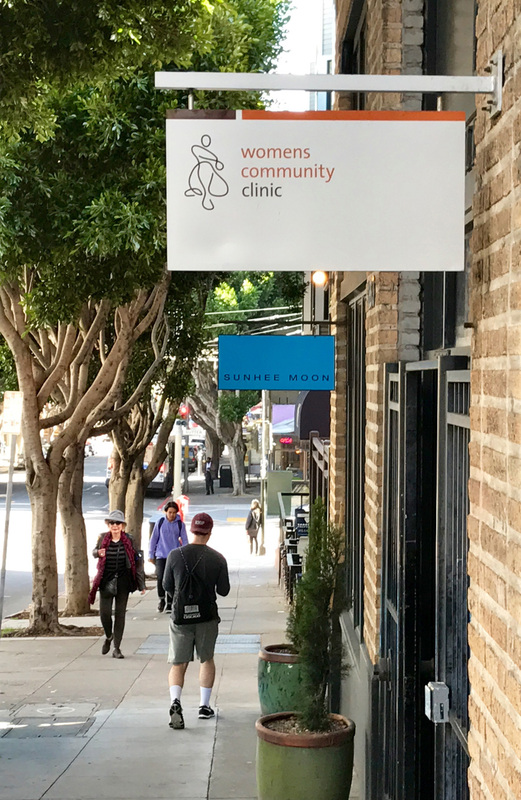 The Women’s Community Clinic at 1833 Fillmore Street. FEDERAL THREATS to cut funding for health care — particularly family planning services for women — have already hit a target close to home. 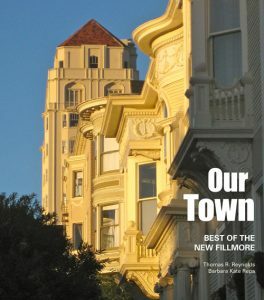 The Women’s Community Clinic, at 1833 Fillmore Street, recently lost a $250,000 federal grant it had depended on for years and is now facing the biggest budget shortfall in its 18-year history. At the same time, the financial squeeze has increased the demand for services. The clinic is scrambling to find alternative funding sources and has launched an intensive fundraising campaign that runs through the middle of the month. “We are doing everything we can to reassure and support our clients during this scary and uncertain time,” said Carlina Hansen, the clinic’s executive director. 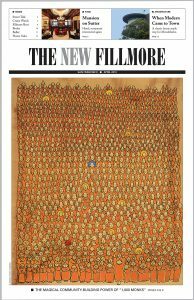 The Fillmore clinic provides primary medical care and mental health care to low-income women and girls 12 and older. It currently serves about 5,000 clients each year, 90 percent of whom earn $25,000 or less. In addition to providing medical services, the clinic also runs a number of community health programs. The administration’s proposed targets — cuts to the Affordable Care Act, Medi-Cal and especially to Title X — pose additional threats to the clinic’s ability to function. If an initiative to eliminate Title X funds takes effect, the clinic stands to lose an additional $150,000 from its operating budget, Hansen said. The Women’s Community Clinic has launched an emergency campaign to raise $250,000 from individuals, foundations and corporate sponsors by April 14. For more information, visit the clinic’s website. 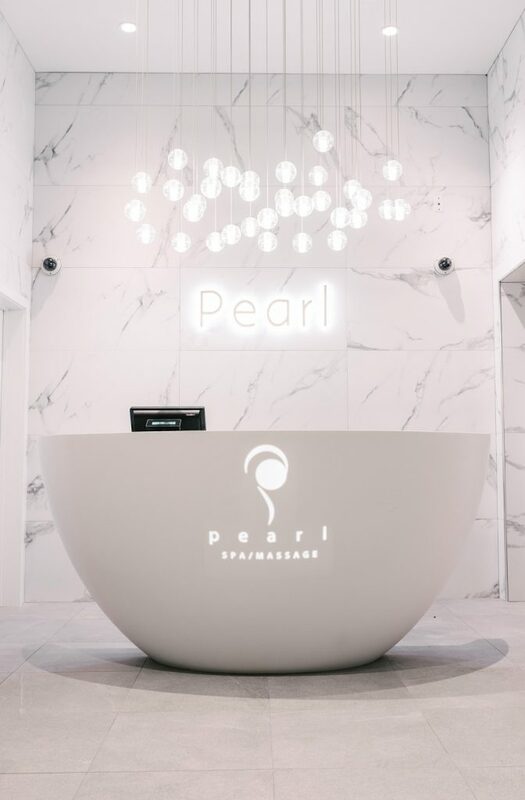 The new Pearl Spa is located at 1656 Post Street in Japantown. The alert came from Melody Sams, a friend who had spied the newly opened Pearl Spa & Sauna on Post Street, just a few doors down from her acupuncture clinic. In addition to practicing Chinese medicine and massage on her own, Melody has worked as a masseuse at both the neighboring Kabuki Springs & Spa and the Nob Hill Spa. She knows spas. We made appointments to try out the new place together. At 1656 Post Street, jammed into a block of disconnected retail shops and restaurants, it’s an unlikely locale for an oasis. But the spot also has a venerable act to follow: It’s in the former home of Uoki K. Sakai, the oldest grocery store in Japantown, which closed its doors at the end of 2011 after 105 years in business. An amazing transformation has occurred. The fish market and aisles of tall metal racks stacked with groceries have been replaced by gleaming marble and tile and whimsical light fixtures. The space has been reconfigured as a classy, immaculate, modern day spa for women. Owners Ray and Tracy Giron have spared no detail. 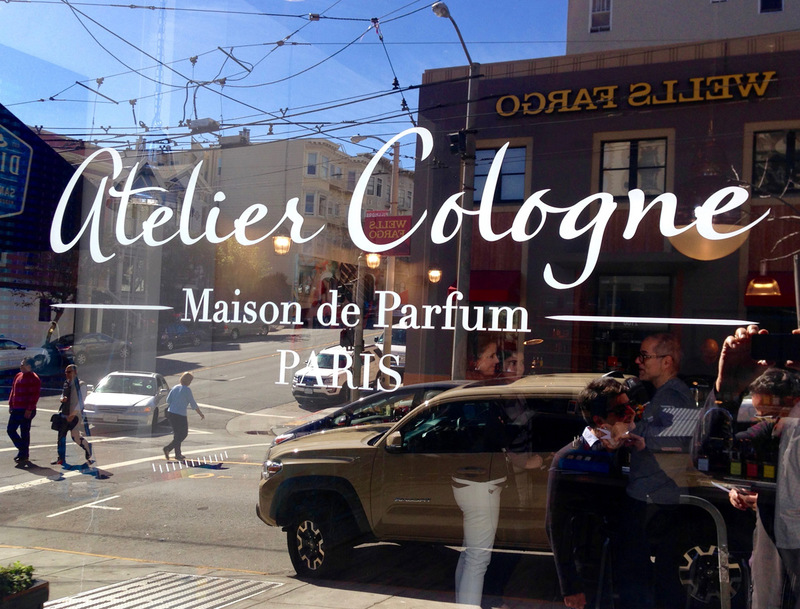 Atelier Cologne from Paris is the newest of many beauty and body shops on Fillmore Street. THE ONRUSH OF new fashion and cosmetics brands and boutiques onto Fillmore Street in recent years has been astonishing — and beauty and body products are the indisputable trend of the moment. There is understandable confusion about why so many have located so near each other and what sets them apart. And those seeking something new or a special gift are met with a barrage of adjectives: ethically sourced, cruelty-free, anti-microbial, sustainable or hypoallergenic. But step inside any of the stylishly sleek shops and you’ll find knowledgeable sales associates with a true passion for their products. Lotions and potions are formulated not just to prettify, but also to fortify the health of the skin and the spirit of the soul. 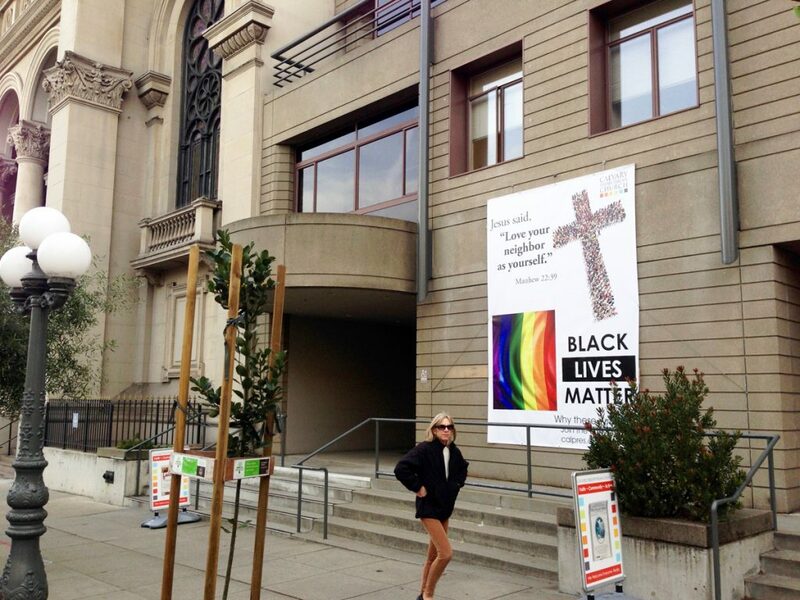 A new banner at Calvary Presbyterian Church includes new protests and eternal verities. It started out of frustration. A pastor at a mainline San Francisco church got tired of pulling together candlelight services after yet another black youth was killed. He wanted to do something positive to show support for the black friends he and many of his parishioners knew. So he hung a banner on the front of the church’s education building. Black Lives Matter, it proclaimed, the logo of a nascent movement. This happened a few months ago at Calvary Presbyterian, the 164-year-old church at the corner of Fillmore and Jackson. Alongside the banner, minister John Weems hung a rainbow flag. He was also weary of attacks on the LGBTQ community, which incredibly still occur in San Francisco. 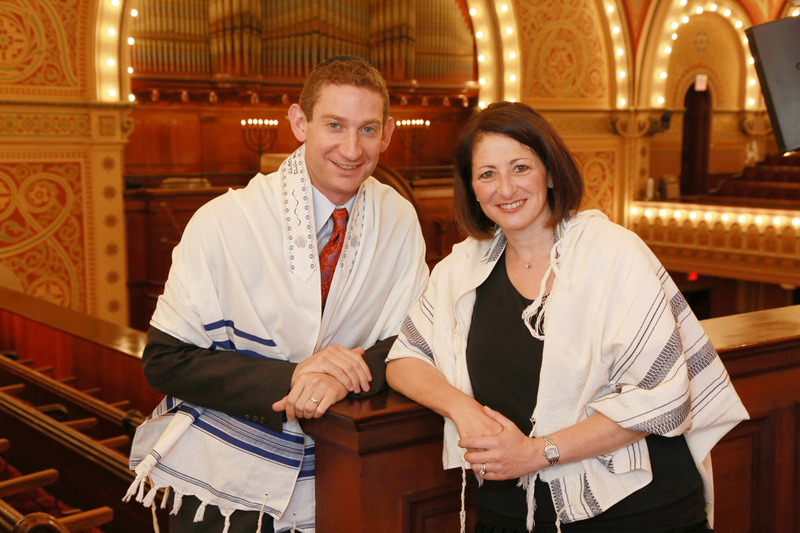 New cantor David Frommer and new senior rabbi Jessica Zimmerman Graf. I grew up in this neighborhood. I used to go to Gino’s grocery store at Fillmore and Jackson after school to get gummy worms in the ’80s when they were all the rage. I’ve walked around this neighborhood for years — decades, in fact. And now, I’m delighted to be back here in a new capacity. Last month, a new clergy team was installed at Congregation Sherith Israel, at the corner of California and Webster Streets. Friends and congregants gathered for a Sabbath service on September 16, followed by festivities and food that honored the different cultures of San Francisco. About 600 people participated. Who would have thought, just shy of 30 years after I became bat mitzvah in this community, that I would stand in the same spot being installed as the 10th senior rabbi of Congregation Sherith Israel? • I am the first senior rabbi who proudly hangs a Sunday School diploma on the wall. • I am the first senior rabbi who interned here as a rabbinical student. • And I am the first senior rabbi to wear a dress for installation — at least as far as I know. 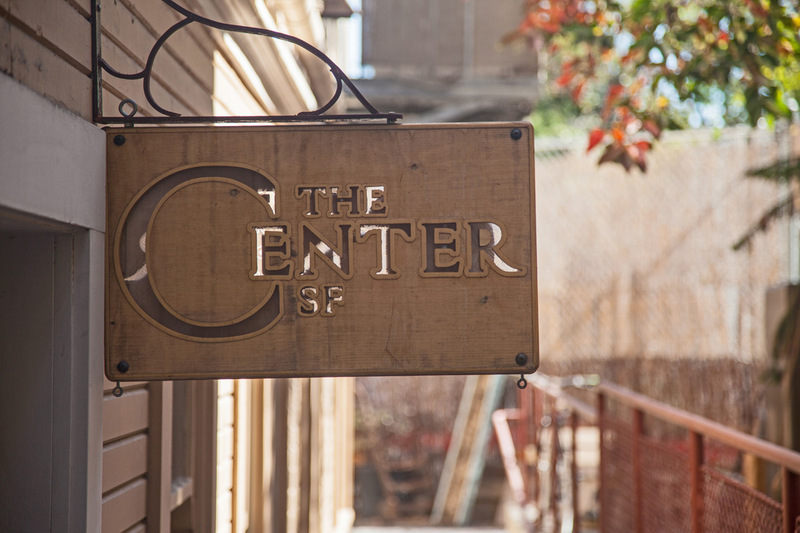 The Center SF is a sanctuary for artists and healers in the former Sacred Heart rectory. Visible from several points across the city, the former Sacred Heart parish at 548 Fillmore near Fell Street today provides another type of spiritual guidance. Instead of bingo, signs promote the Church of 8 Wheels, a weekly roller-skating party and yoga classes. A membership gets you all the tea you can drink in the subterranean teahouse that will celebrate its one-year anniversary this month. If the idea seems like a throwback to a bohemian past, that’s because it is. In a real estate market that has become surreal, artists, healers and makers are seeking ways to continue living and working in the city. Tucked into the former parish rectory, The Center SF represents one option.